HONG KONG: China’s Anta Sports Products has offered to pay US$5.5 billion for the firm that makes the Wilson tennis racquets used by Serena Williams, it said in a statement Wednesday. Anta has joined buyout firm FountainVest Partners to offer 40 euros (US$46.50) a share for Finland’s Amer Sports, one of the world’s biggest sports equipment firms that also owns popular ski brands Salomon and Atomic. 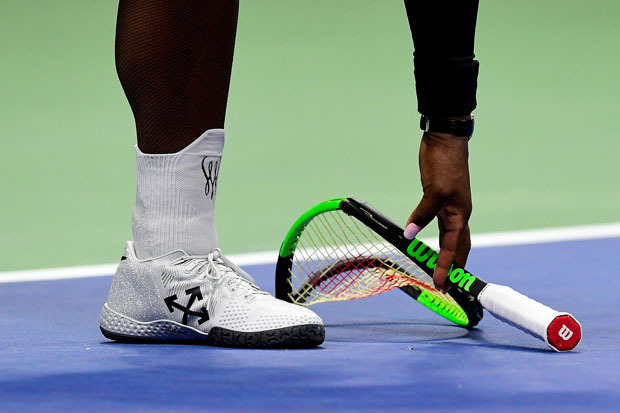 Along with Roger Federer, Williams is one of Wilson’s most recognisable tennis stars, who hit the headlines for her bad-tempered loss in Saturday US Open final in which she smashed her racquet. The bid is non-binding and subject to a number of conditions such as a due diligence investigation, the statement added. Shares in Anta soared as much as 3.8 per cent in Hong Kong pre-market trade but later fell back to end the morning 3.8 per cent lower. However, Amer climbed 19 per cent to close at 34.20 euros in Helsinki after it confirmed the takeover interest, Bloomberg News reported. Anta, a Chinese homegrown sports company with a market value of US$12.5 billion, has been seeking acquisitions of international brands. Chinese brands saw an explosive presence in the 2018 Russian World Cup following years of effort to cement a presence on the world sporting stage. Anta’s approach comes as firms in China gear up for the 2020 summer Olympics Games in Tokyo and the 2022 winter games in Beijing.